This painting was worked up from a smaller painting posted a few days ago. 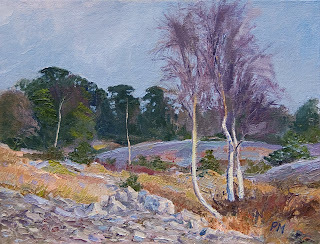 Birches, Whitbarrow. Oil on gessoed card. 6"x8"
Blog now appearing in searches.